Browse AJM's large selection of laminating pouches. 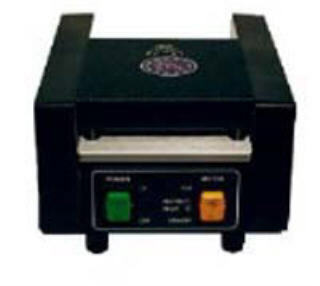 Our quality laminating pouches work with all pouch laminators and come with several pouch carriers per box. Most laminating pouches come in thicknesses of 5 mil, 7 mil, and 10 mil--5 mil being a light-weight pouch and 10 mil being a heavy-weight pouch. For larger size documents such as letter and registration size, laminating pouches are also available in a lighter-weight 3 mil thickness. In all cases, double the measurements to get the total thickness of the laminating pouch. Need help finding the right size and thickness? Our laminating pouch price guide below indicates the most common use of each pouch or you can print our measurement guide for small (ID & membership cards) laminating pouches. Of course, you can always call us at 1-800-845-6839 and we would be glad to help finding the perfect pouch for your needs. Laminate it in color. We carry color laminating pouches! 1" core roll stock for roll laminators. Clear glossy, photo grade laminating film. Film composition is polyester and polyethylene. Call us for special sizes. Discount based on per invoice order. Pouches come 500 to a box unless otherwise indicated.